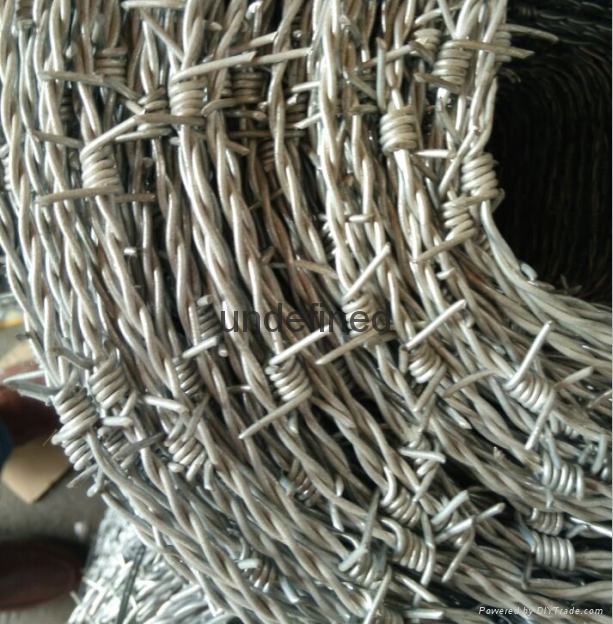 Now, our factory can manufactures three specifications of barbed wire to suit various grades of use. 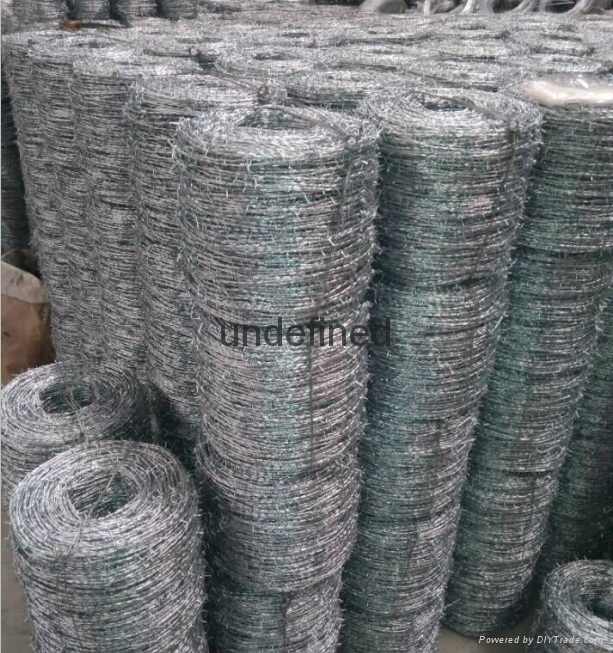 High Tensile Standard barbed wire is produced from 1.7mm wire and mild steel barbed wire is manufactured from 2.5mm mild steel wire; the latter is generally used in conjunction with mild steel net fences. Also we can produce dark green pvc coated barbed wire 2.6mm or 2.8mm mild steel barbed wire for maximum corrosion resisitance.